Favorite things parties are one of my very favorite! Have you ever had or been to one? Well if not… WELCOME, because this is an online version! 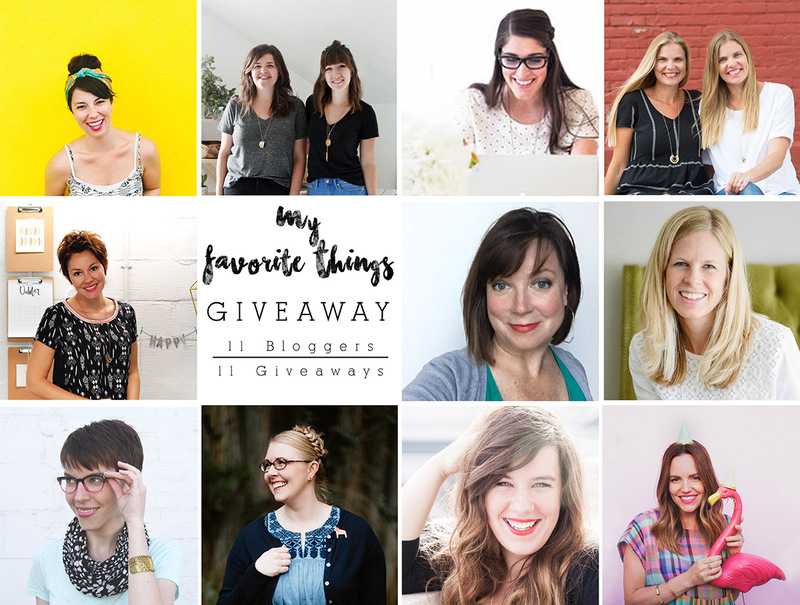 Amy from Delineate Your Dwelling is hosting the BEST giveaway with 11 other fabulous bloggers including myself! 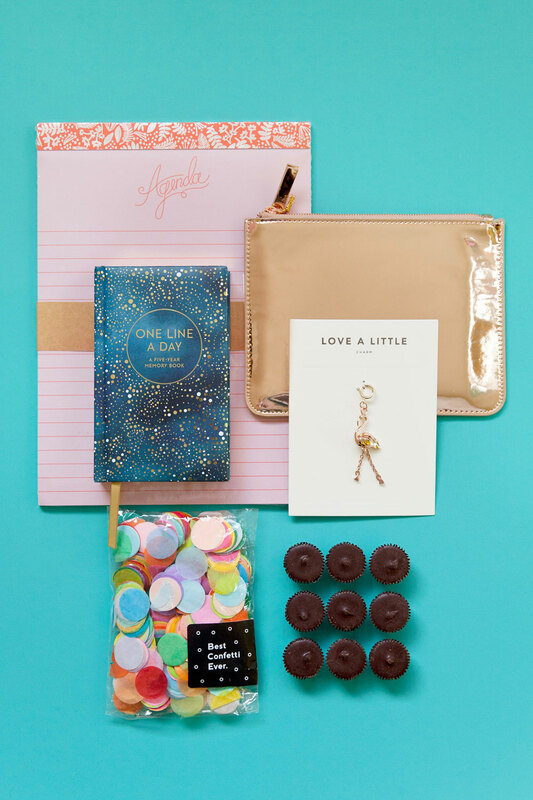 We are all sharing and giving away our very favorite things! I LOVE learning what others love because sometimes they become MY new favorite things. 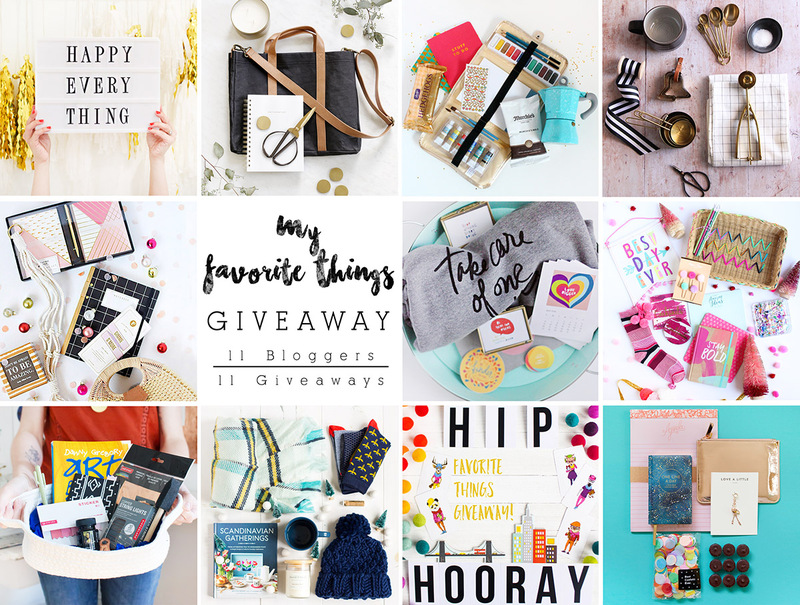 The best part is you have 11 chances to enter and win all the fun goodies! 1. Confetti Confetti Confetti! You guys I am slightly obsessed, I just can’t help it! And THIS confetti is seriously the best ever. 2. I am horrible at journaling but the “one line a day journal” is where it’s at! You can record sweet and important moments and it only takes a few minutes…and lets be honest the book is dang cute too! 3. I am all about note pads. I need one on hand constantly…whether to jot some notes, make some lists or just to doodle, they are the best. 4. I carry a little zip pouch with me constantly! And I am always on the look out for a new one. This little metallic bag is gorgeous and so sturdy! I am a firm believer you can never have too many bags. 5. When I say I LOVE these dark chocolate peanut butter cups from Trader Joes it’s just not enough…I am OBSESSED with these dark chocolate peanut butter cups. They are my weakness and they will be yours too (sorry ha!). 6. If you know me, or follow my blog you will know my love for flamingos runs deep!! I have loved them since I was little and I am loving how they are all the rage right now. This flamingo charm is GORGEOUS! And so fun you can put it on your keys or bag. Enter below to win ALL of my goodies! 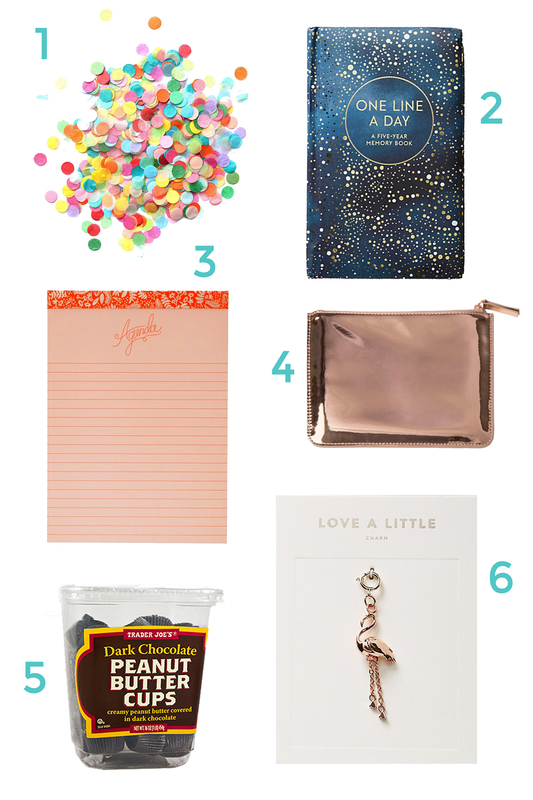 Thank you so much for entering My Favorite Things giveaway! Don’t forget to stop by and visit my friends for more chances to WIN their awesome giveaways!! In the winter my favorite thing is my long down hooded jacket with a scarf my daughter made me. My favorite thing is different kinds of paper. I am a list person so I like paper. i bought a favorite thing for all the women on my list-it’s a little makeup spatula from target that allows you to get every last bit of makeup or lotion from your bottle. thanks for the giveaway! Current favorite thing is my 52 Lists Project book – it makes me take a real introspective look, which can be hard to remember to do at times! So fun, Sara! I almost bought that metallic pouch the other day, love it. Thanks for joining me on this giveaway. Winning this would be like the happiest mail day ever for me and my Chloe Pearl! FUN! One of my favorite things is pur gum! You’re right… that flamingo charm is GORGEOUS! My favorite thing has to be a pretty notebook and colorful pens. I am a paper and pen kind of gal and love to make lists and be able to write down ideas when they come to me. LOOOVE it all! Especially the Trader Joe’s Peanut Butter Cups (MY FAVE)!!! Such a fun giveaway!! I love different party decorations – balloons, confetti, table cloths, crepe paper… I absolutely love to make a room look festive for whatever occasion. There is no age limit to a party room! My happy planner is my favorite thing! helps me stay on top of everything! 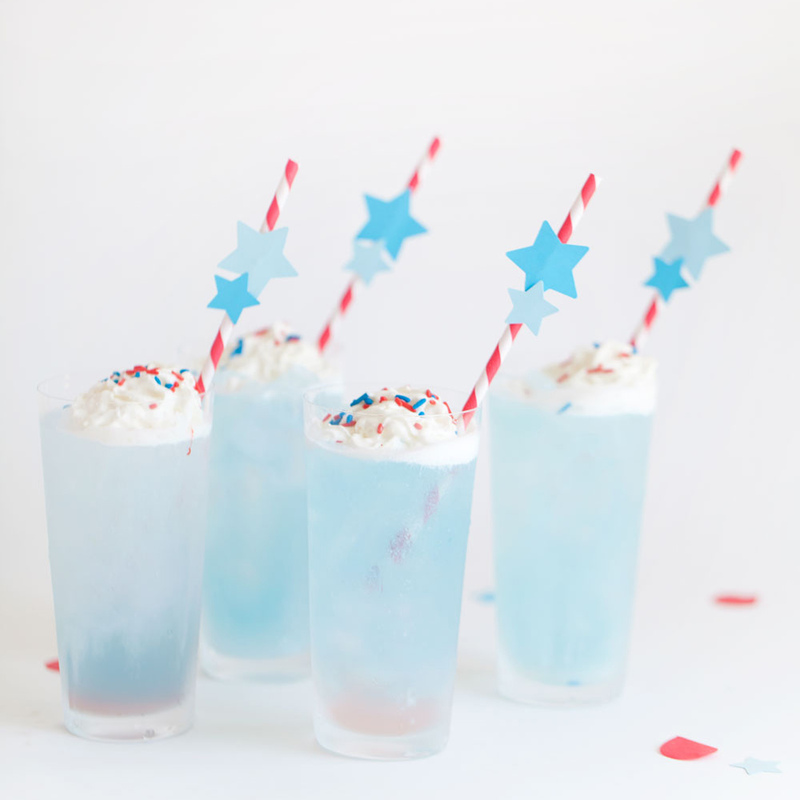 My favorite thing is tea, it’s a way to give myself a ice treat every day! Right now my favourite thing is pom poms! I just bought the cutest pom pom covered sweater at Zara and a super cozy pom pom throw at Aerie. Stationary and scrapbooks are my favorite things. 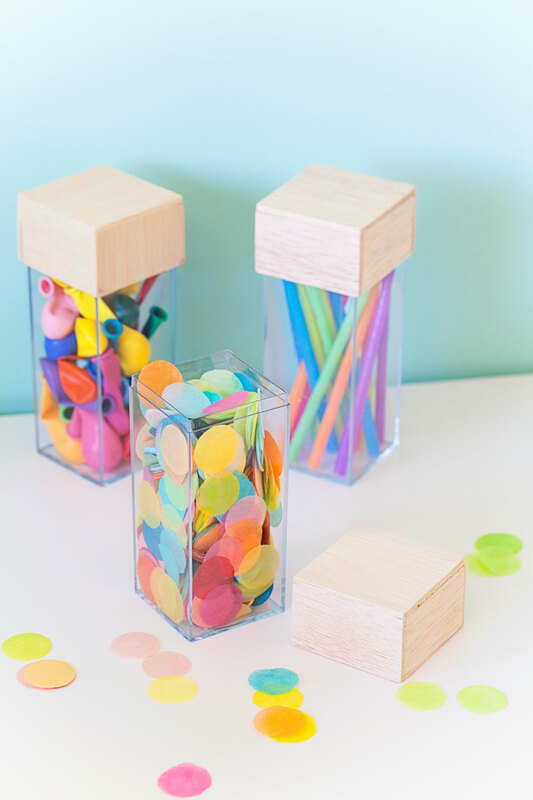 My favorite things are pompoms, felt balls, pencils, easers and beeswax candles. Cold Brew Coffee is my current favorite thing. My all time favorite thing is journals! my favorite thing is yarn. So many beautiful yarns to choose from. Thank you! 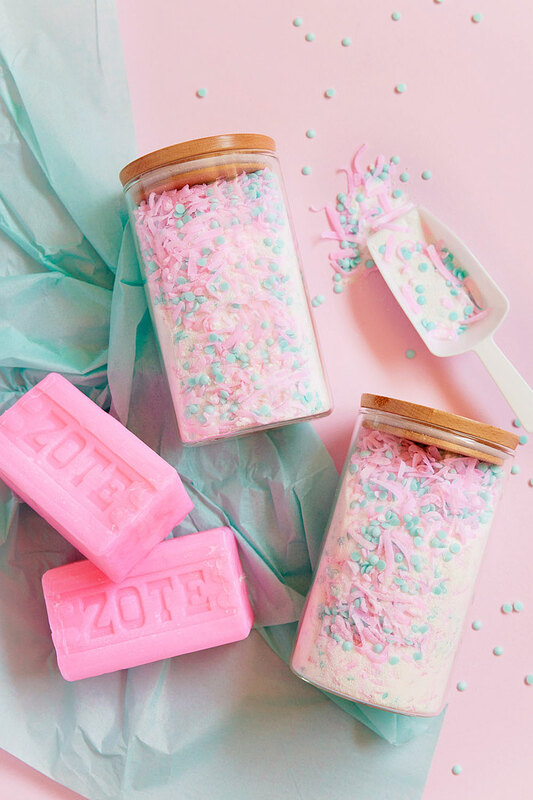 I love a good body wash and one of my favorites is spongelle, it’s a sponge with body wash in it and it’s scrubby on one side. Too cute! Those peanut butter cups are so addicting! My favorite things include houseplants, good books, and oreos. Always oreos. ;) Thanks for sharing this giveaway! I love the handmade candles from Illuminati Waxworks, they smell sooooo good! I love my foot scrub. Someone gave it to me as a gift and now i’ll Never live without it! It’s such a tiny “treat myself” at the end of a long day. That one line a day journal is beautiful!!!! My favorite thing is my craft room! I plan to spend a lot of time there, crafting the winter blues away! My favorite item(s) are office supplies! My favorite thing right now is my Mrs. Meyer’s Apple Cider hand soap. My favorite thing right now is the Enneagram! My favourite thing for the moment is my Kobo ereader. I feel like a good sweatshirt is the best! One that looks put together and cute but also cozy! I really can’t help myself when it comes to fun cocktail napkins! I love making things and giving gifts. Your website and blog, as well as your friends’ blogs inspire me and make me happy! Ummm is it bad to say my favorite thing is food? Haha. Or dessert to be more specific. I love vintage so much. I collect linens and vases, like maybe too many of each but I love them both. My favorite thing currently is Butterbeer tea by Adagio Teas. It’s so creamy and naturally sweet. My favourite things are plants. I have an odd ability to keep them alive. #blessed haha! My favorite thing is actually things. I LOVE books! Any topic, any genre, fiction or nonfiction, I love them all. My favorite thing is dark chocolate with lots of dark roast coffee! I love that one line a day journal; it’s adorable! MY favorite things include: DIY gifts, running, dogs, knitting, crafts, and food! 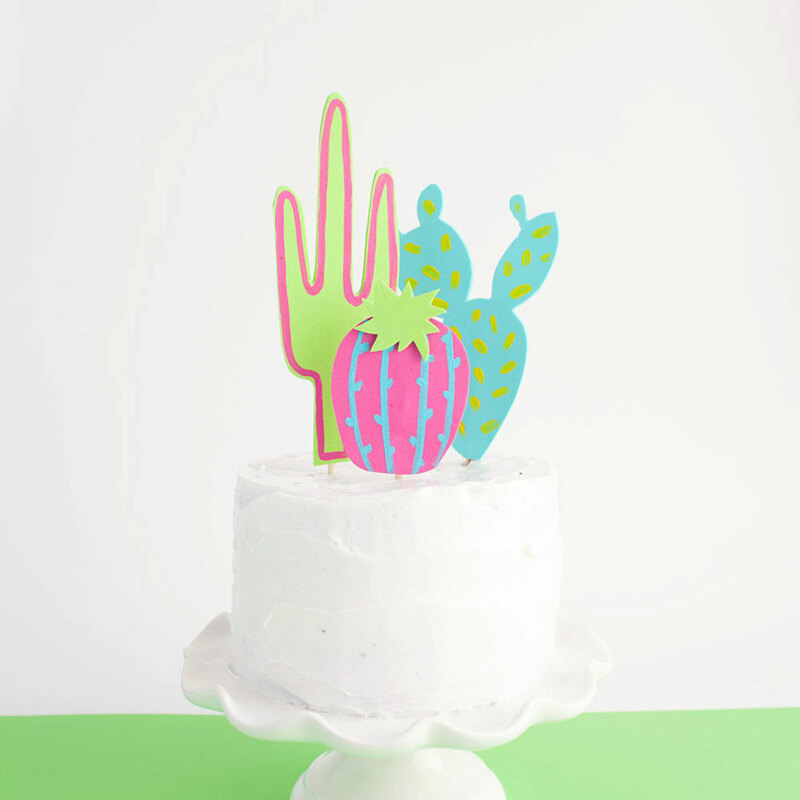 I absolutely love how colorful this blog is! It just makes me feel so happy! Honestly its like tht fav mug or a well worn comfy sweater or a good cup of chai..using blog as a comfort food ..is that bad lol! You are AWESOME! Mahalo for sharing your creativity! My favorite things are gel pens and anything Disney! Maybe it’s just after a day like today but those PB cups look like they are my new fave!